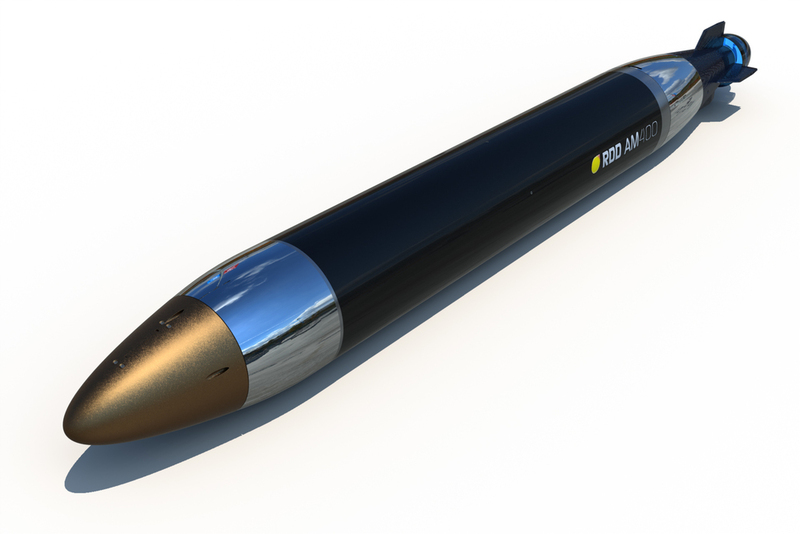 Why a new torpedo? We've developed a new class of torpedo, that ideally suits deployment from small craft in swarm combat scenarios. At 400kg total weight it falls between the two 'Lightweight' and 'Heavyweight' extremes normally employed by Western navies, neither of which are suited to that purpose and generally prohibitively expensive. It's intended to have enough punch to reliably get a mobility and mission-kill on a medium-sized warship. It's very low cost, reliable and recoverable for subsequent firings after being fired in a 'spread' of a number of torpedoes.